Amongst the throngs of models in attendance at castings during the Spring/Summer 2015 season, only a handful caught and held IMA's attention once the month long fashion hijinks were through. Making an indelible impression was Italian newcomer Vittoria Cerretti whom IMA met at Cédric Charlier's castings held by casting director Paul Louisor. IMA was immediately transfixed by Ceretti's sphinx-like green eyes framed by a perfectly ovular features and distinctive brows. 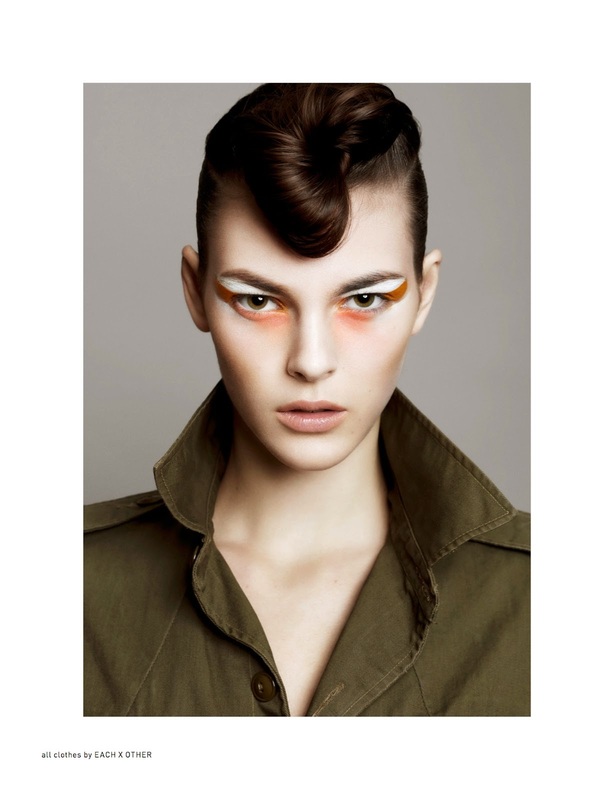 The 174 cm Elite Model Paris repped beauty clearly made an impression on others amassing twenty-two S/S 2015 show bookings including Dolce & Gabanna, Valentino, Barbara Bui, Iceberg, Just Cavalli, Byblos, and Kenzo. Discovered at age fourteen via the Elite Model Look 2012 competition, Cerretti has quickly notched up an impressive portfolio of plum assignments including a Fall/Winter 2014 Dolce & Gabbana campaign, editorials for D La Repubblica, Amica, IO Donna, and the Italian editions of Elle and Vanity Fair, and cover appearances for Grey and Crash. 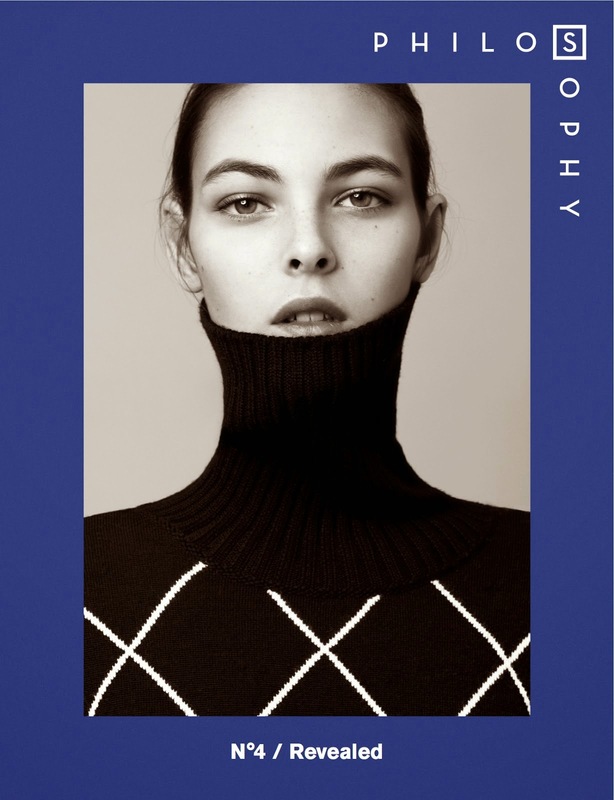 Cerretti lands another cover and editorial slot for this month's edition of Philosophy appearing in "About to Hide" lensed by Bojana Tatarska. Ceretti poses in sun-dappled parklands and in a studio setting wearing the season's cosiest knits and jackets with elaborate eye make-up courtesy of Alice Ghendrih.